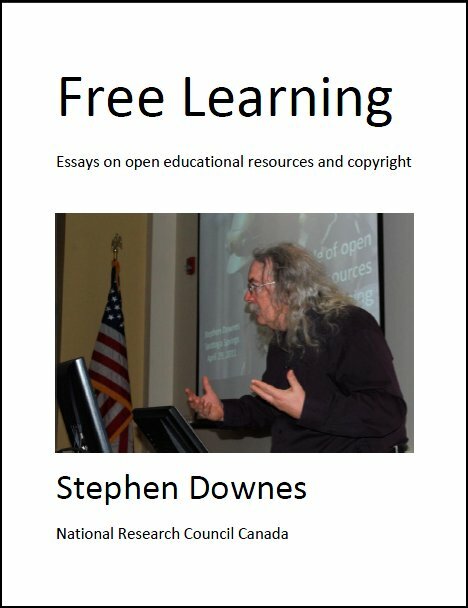 There has been a flurry of commentary around the U.S. Department of Labour's funding of open educational resources (OERs), much of it summarized in Lorna Campbell's excellent wrap-up. The biggest issue has been the debate around mandated standards; John Robertson has captured the twit-scorm around it. She also links to Charles Severance's criticism of ADL's SCORM. Clint Lalonde enumerates the reasons why SCORM is unsuitable for education. There's even a petition against the use of SCORM. It's probably worth reading some background. While at one time, IMS would have seemed to be the natural custodian of SCORM, as Aaron Silvers writes, "over the years, the relationship between ADL and IMS became strained," and ADL decided first to pass it over to a wider group called LETSI, and then keep stewardship itself. IMS, meanwhile, developed what is essentially a competing specification in IMS Common Cartridge along with Learning Tools Interoperability. Meanwhile, people who want to learn more about SCORM might want to check out ADL's brand new YouTube channel. Last Updated: Aug 23, 2018 6:49 p.m.